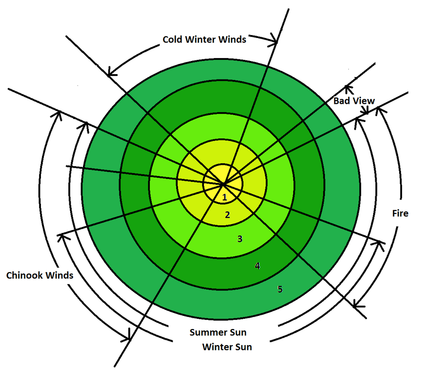 Zones in permaculture are simply areas numbered from 0-5 representing 5 main areas where we might find energies or materials already present and available on a landscape. Zone 0 is where we would find the living quarters, while zone 5 for example, would be considered as an area left to wilderness. Most urban properties do not go much further than a zone 3.